In 1978, Richard Goodman (M.D. 1975, Residency 1978) became an officer in the Centers for Disease Control’s Epidemic Intelligence Service, or EIS. The service offered hands-on experiences in applied epidemiology, which fascinated Goodman. On his first assignment, he was asked to help a colleague investigate the death of an otherwise healthy Idaho man. They ran tests, interviewed family and friends and obtained autopsy cultures. But their findings were inconclusive; they couldn’t concretely determine cause of death. Puzzled, they left, starting on their next respective assignments. 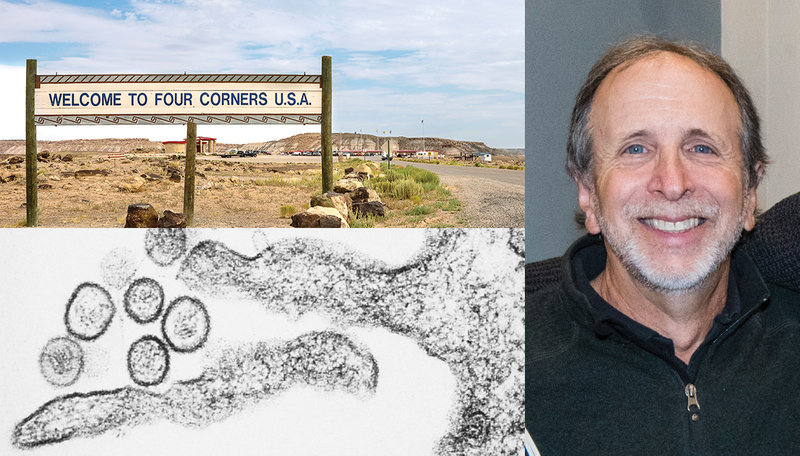 Fifteen years later, the CDC was scrambling to isolate an outbreak of Hantavirus in the southwestern United States. A series of ecological events increased the deer mouse population, which spreads the virus through feces, urine and saliva. As editor-in-chief of the CDC’s Morbidity and Mortality Weekly Report, the case reports flooded Goodman’s desk. Then he realized: The Idaho man had the same symptoms. Consulting his long-shelved notes, Goodman found that, “the features fit.” Immediately, he requested a sample of the man’s tissue, still on file. The tests confirmed Hantavirus. Goodman had discovered the very first known case of Hantavirus in the United States. Goodman knows this case’s conclusion was a profound one, and it helped the CDC better understand Hantavirus, as well as retrospective diagnoses and specimen retrieval. “It taught a lot of lessons,” he says. Goodman is now a senior medical advisor in the Office of the Assistant Secretary for Health in the Department of Health and Humans Services and the National Center for Chronic Disease Prevention and Health Promotion at the CDC. His focus is on multiple chronic conditions and the medical issues of aging.